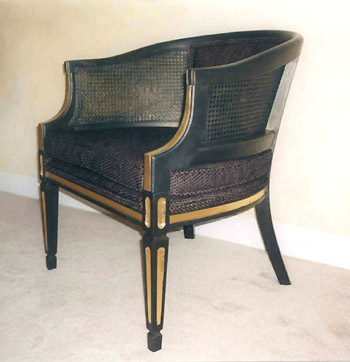 An application of gold glaze warms up the painted black surface of this chair. Two applications of "schlagmetal", or combination gold leaf create solid gold accents. San Carlos, Ca. To see more gilded furniture, click link below.